The “Coffee Cantata”, also known as Cantata BWV 211, was written by Bach in the mid 1700’s, a time when coffee houses had just become popular in Europe. Described as a satirical mini-opera, it’s about a daughter who manages to arrange a pre-nuptial agreement that would make Starbuck’s proud. It begins with the following introduction “Be quiet, stop chattering and listen to what will happen now”. We can image that Bach’s audience must have been on a caffeine high and he wanted their attention for the drama that was about to unfold. And a drama it was; a cautionary tale about a wicked, disobedient daughter who had fallen under the spell of coffee. She sings “How sweet the coffee tastes, more delicious than a thousand kisses. 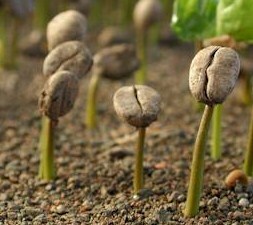 Coffee, coffee I must have”. Admonitions from her father and threats to not let her go out walking or buy fashions and ribbons of silver and gold do little to dissuade her from “the pleasures of coffee”. At last, the desperate father proposes a marriage contract to entice his daughter to give up coffee for a “proper lover”. The daughter agrees but secretly lets it be known that no suitor is to come to her house unless “He promises me, and it is also written into the marriage contract, that I will be permitted to make myself coffee whenever I want”. Around 6 or 7 o’clock, as stores and offices close, Italians find their way to the many cafes and bars throughout Italy that serve apertivo, a pre-dinner drink designed to stimulate the appetite with bittersweet flavors and aromatic herbs. 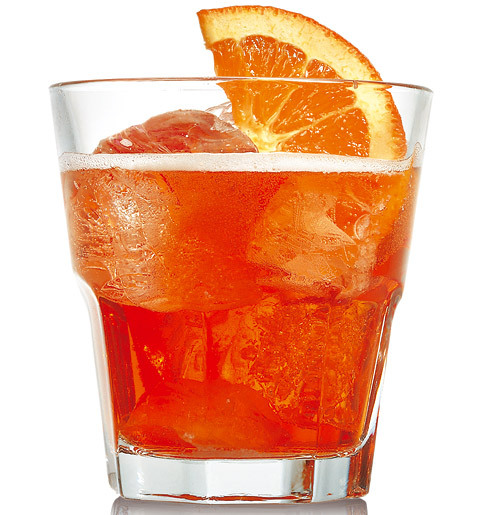 Unlike the American cocktail hour where there are as many permutations of the classic Martini as there are configurations of Rubik’s cube, the Italian aperitivo is meant to open your taste buds rather than anesthetize them. In Italy apertivi are usually accompanied by complimentary appetizers. These small bites, served as a buffet, often include a selection of olives, various chips and nuts, tiny meatballs, cured meats, cheeses, pizzette, marinated vegetables, foccacia and traditional snacks of the region. Yes I did say complimentary and yes is it OK to help yourself and go back for more. You can nibble and nip on stuzzichini at the apertivo bars of Milano or cicchetti on an Italian pub crawl through Venice. The custom of apertivo is a perfect opportunity to taste a variety of regional foods in a casual atmosphere and experience the Italian lifestyle. Considered to be an unholy drink in 16th century Rome because of its connection to the infidel culture of the East, Pope Clement VIII thought it would be imprudent to ban the brew without first tasting it. 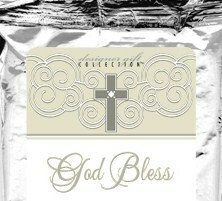 Legend has it that Clement VIII tasted it, liked it and baptized it on the spot and the Italian coffee-house was born. The top coffee brands in Italy are Illy, Lavazza and Segafredo. I know at least one of you out there thinks Lavazza is the best but just like wine – it’s all a matter of taste! According to Giallo Zafferano, one of Italy’s best known food forums, a research study on the topic of “Love and Food” conducted in 5 European countries (Italy, France, Germany, Spain and Britain) queried over 5,000 people, between 18 and 64 years old, on the taste of love. In Italy more than 50% chose a classic dish of spaghetti. 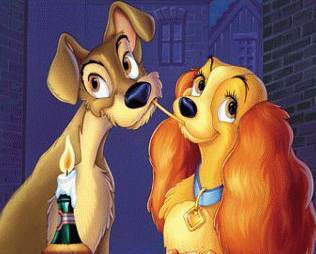 Those interviewed said that the act of wrapping the spaghetti with a fork, or better yet, to divide a piece of spaghetti with your partner (just as in Disney’s Lady and the Tramp) creates a moment of seduction and intimacy. Add a glass of a robust, Italian red wine and watch the sparks fly! Curious about the other countries? The French preferred exotic foods and champagne, the Spanish fish and a fruity white wine, the Brits, a creamy pudding and the Germans, a sweet dessert covered with whipped cream. There is no documented evidence to suggest that James Bond had a pen like I’m going to describe. But I would venture a guess that if he could he would. As he was found of gadgets, this pen may have caught his eye. It is a pen created by Italian designer Guiliano Mazzuoli, inspired by the famous Bialetti cast aluminum stove top espresso pot. The upper portion of the pen resembles the Moka pots of Mazzuoli’s youth still used in Italian kitchen’s today. The pen is beautiful, a work of art and a statement of Italian design but with a price tag in excess of $250 you would need the resources of Her Majesty’s Secret Service to afford it. 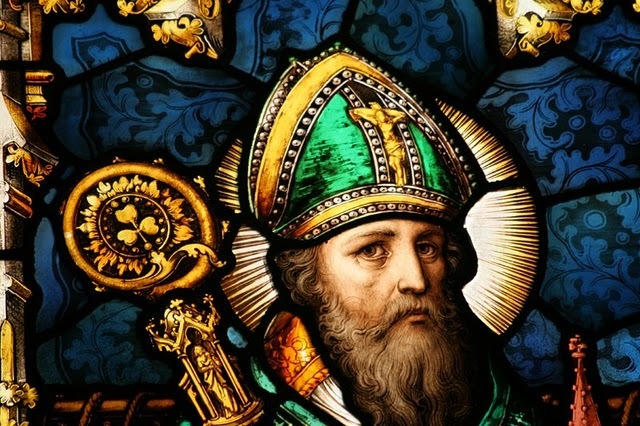 Although Italy cannot claim St. Patrick as their favorite son, Patrick’s parents were citizens of Rome so it’s easy for Italians to translate the green in their flag to the “wearin of the green” on St. Patrick’s Day. For an Italian inspired St. Patrick’s Day celebration, add some Bailey’s to your cannoli filling and make Pasta with Cabbage and Caramelized Onions. I use pizzichi pasta when making this dish. I could suggest making a Corned Beef Ravioli but that might be almost as sacrilegious as Corned Beef Pizza so I’ll suggest an Irish Espresso instead made with1 long shot of good espresso, Jameson or Bushmills Irish Whiskey, brown sugar to sweeten and heavy thick sweet cream on top.